Ready to get paid to write online? Millennials are absolutely crushing the freelance game. Described as the most “freelance-friendly” generation, millennials are using freelancing as a way to not only make some serious cash on the side, but to go into business for themselves as well. While starting a business is a much easier undertaking than in years past, it does take more than just a laptop, wifi, and millennial wit to get a freelance business off the ground. Thinking about joining the whopping 43% of millennials who have taken the solopreneur leap? Here’s what you need to know to get started as a freelancer. The short answer is yes and no. (I know, how helpful of me, right?) But really, the answer will depend on where you live and how you define your business (more on that in a bit). Some areas require a license that has to be renewed (and paid for) yearly while others have a flat, one-time cost. Other regions may not require one at all. In addition to a business license, you’ll need to consider local ordinances. For example, certain cities and towns have stringent rules about running a business from a residence. To find out if you’re required to obtain a business license, visit or call your local office that issues licenses. You can also speak with a local tax professional specializing in small businesses and freelancing. It’s always better to start off knowing out what your city or state requires, upfront. After all, who wants to find themselves hit with a surprise bill for owed registration fees, penalties, and processing costs to boot? Even if you don’t require a business license, you’ll need to decide what sort of business you’d like to run. Choosing what type of business is an important decision and should be considered carefully as each comes with their own protections, costs, and tax implications. Because (disclaimer!) I’m a writer, not a professional tax accountant, I’m going to focus on the most common (and straightforward) choice among those new to freelancing businesses, the sole proprietorship. If you choose to file as an LLC, S-Corp, or C-Corp, I’d strongly suggest speaking to a professional (accountant, attorney, or both) before filing. There are significant tax implications to consider once you file as other than a sole proprietor, especially for corporations. Most freelancers start off as a sole proprietor. You can always grow into an LLC or S-Corp as you grow your business down the line. A sole proprietor is often described as the “default option” for a self-employed worker and allows you to start working immediately. To be a sole proprietor, all you need to do is start earning money. If you’d like to run your business under a name other than your own (such as your business’s name), you’ll need to file with the IRS. You’ll then need to choose to run under a DBA (Doing Business As, AKA your business name) and boom: you’re good to go! A sole proprietor type of business comes with fewer formalities and requirements than the other three categories. However, on the downside, this option provides no protection when it comes to liability concerns. An EIN enables you to set up a business bank account to separate your income from your other finances. Having an EIN also allows you to forgo putting your social security number on contracts and forms, which is inherently safer and more secure when it comes to protecting your identity, especially as a freelancer when you may be getting paid by a number of places. It’s no different for freelancers. Except for how and when freelancers pay taxes. Those are very different for freelancers. Sorry to say but gone are the days when your withholdings are automatically deducted from your paychecks. As a freelancer, you’re responsible for not only reporting your income, paying into Social Security and Medicaid but for paying self-employed taxes as well. If you haven’t been in the workforce very long, you might find the amount of taxes you need to pay as a freelancer as a bit of a shock. As a freelance writer, you have a lot of earning power, which means, you may also be paying more in taxes. The government wants to be paid throughout the year, as it would be from regular withholdings in a “traditional job.” This is why most freelancers pay quarterly taxes, due in January, April, June, and September. Quarterly taxes are paid based on estimates of what you’ll make that year. Unless you have a deep understanding of taxes (and in that case, I’m incredibly jealous), it’s crucial for you to enlist the help of a professional to get an accurate estimate. When looking to hire a certified accountant or CPA, seek out one who specializes in self-employment and understands how your business works. Until you hire a professional to help you make sense of your taxes, it’s recommended you put aside 30% to 40% of your earnings to cover your taxes. Good recordkeeping is vital to your success. Meticulously track your income and spending in a spreadsheet or an app like QuickBooks Self Employed. Remember, you won’t be getting a W-2 (at least not from your freelancing clients.) Many clients will send a 1099 form at the end of the year. Keep in mind, however, some clients may not, and they may not always be 100% accurate. Freelancing comes with a lot of flexibility and freedom, but if you’re anything like me, the trade-off is apparent when it comes to taxes. It can be very confusing and if not handled correctly, very expensive. Disclaimer: I am not an accountant, CPA, or expert in any way. Always consult a professional to see what is best for your circumstances. The “where” is when freelancing really shines, especially among millennials looking for a higher quality of life. You can work from anywhere. I’ve worked from a Starbucks, a vacation home on a lake, and even from a backyard across the country. The work-life balance and ability to work from virtually anywhere are what attracts a lot of millennials to freelancing in the first place. Either you put together a home office, or you join a coworking space. You don’t need a fancy setup to work from home. As long as you have a reliable internet connection and a working laptop, you’re off to a good start. While I’m not among the lucky who have an extra room for a home office, I do have a designated workspace. It’s organized and is *mostly* clear of distractions, which is a huge factor in creating a viable home office space. I have a weekly and monthly calendar to track projects and deadlines, a multi-function printer, lots of my favorite pens, and more post-it notes than a person should own. It’s simple, and it gets the job done. Your workspace is unique to you and your working style so get creative to create a space that works for you. Note: If you do choose to work from home, check for any possible local restrictions on running a small business from your home. Coworking spaces are a relatively newer concept, and I can’t help but think the influx of millennial solopreneurs has helped grow this budding industry. If you don’t have the room for a designated home office, or just need a little more accountability, coworking spaces are a great alternative to a home office. Though it varies across locations and companies, coworking spaces usually offer rented desk space, private offices, or boardrooms. While features like business-grade internet connection are standard in many spaces, some companies offer some serious perks and amenities. Some examples include nap pods, in-office arcades, free classes, and more. While some may thrive on the “on-your-own-schedule” pace of freelancing, some find it much easier to be productive when they have a destination to show up to each day. As in almost any other profession, you’ll need a resume. You’ll find that a freelancers’ digital resume is slightly different than the physical ones you may be used to dragging along on interviews. Your resume should be modern and easy to send, receive, and read. Most commonly, writers’ resumes are in the form of a clickable-PDF. Staying current on your resume is a must-do for anyone looking to grow their client base and business. It’s always good to have an avatar as well as a short bio prepared, as it’s something many clients ask for to credit you for your work. For some, a strong online presence includes setting up a writer’s website. Freelancers usually use their site to host their blog, provide information regarding their services as well as act as a digital portfolio. Through a hosting company, you can buy and set up a domain to include features important to you. You also can explore other options such as free portfolio hosting sites like Contently. Freelancers are often encouraged to have a social media presence as well. (Another win for millennials.) For example, Twitter can be a fantastic way to network with other writers and potential clients. Starting a new business can be a daunting task, there’s no denying that. The good news? Millennials are uniquely equipped to not only rise to the occasion but excel at it. 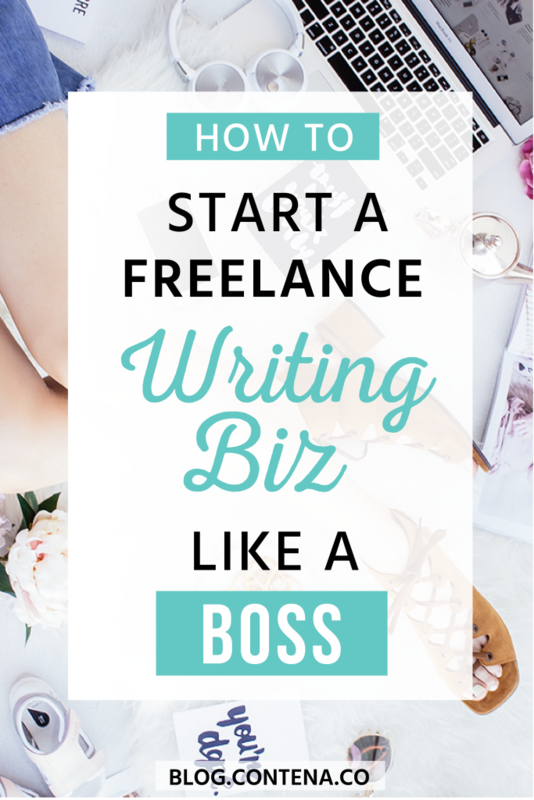 Now, armed with the knowledge about what it takes to start a freelance biz, it’s time to put it into action! Whether you’re looking to launch a part-time or full-time freelance writing business, make this the year you reach your goals. Don’t forget to share your freelance business success story with us to be featured on our Wall of Wins! Ready to Start Your Own Freelance Writing Business? Copyright 2019 by Heroic, LLC. All rights reserved.